Through the Vilcek Hall Naming Campaign, we have a unique opportunity to shape the future of healthcare—by reducing the enormous burden of medical school debt—while creating our own class legacy. Although I did not live in the dorms, I remember hearing all the stories of dorm life—the camaraderie, group studying, and the not-so-glamorous rooms! Now, thanks to a transformative gift from Jan and Marica Vilcek, our students have a state-of-the-art dorm, home to over 400 medical students a year. 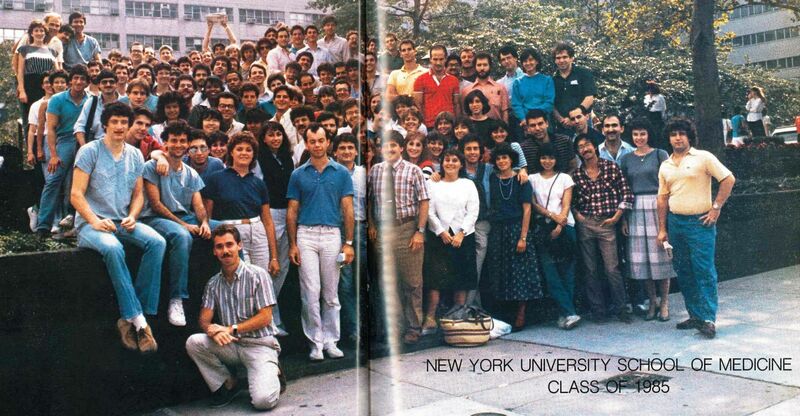 I invite you to join me in uniting our class to raise $30,000 to name the “Class of 1985” room in the Vilcek Hall dorm. All proceeds go to support scholarships. I’ve started us off with a $500 gift of my own, and I hope you too will consider a gift—big or small—to help us achieve the goal of 100% class participation. Thank you for considering this opportunity to honor our class and support the next generation of NYU-trained physicians. Support Medical School Scholarships and shape the future of healthcare. Nancy, Thanks for getting this started.